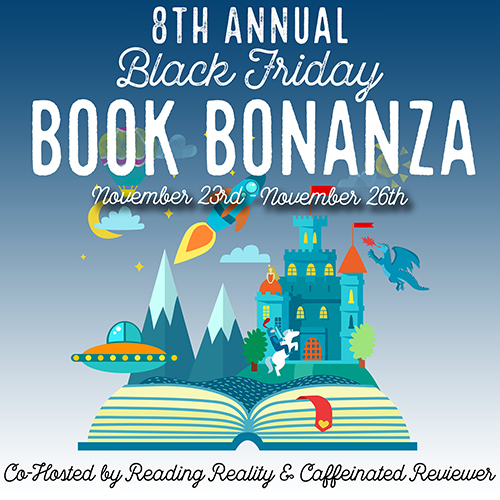 Black Friday Book Bonanza Giveaway Hop Sign Up – Escape Reality, Read Fiction! It’s that time again! Welcome back to the EIGHTH annual Black Friday Book Bonanza. Even if you think it’s too soon for the holidays, they are right around the corner! Just like last year (and the year before that, and the year before that) Black Friday is a great day for a hop. It’s the perfect opportunity to share a bookish prize or two, and also to stay home and surf the web instead of crowd-surfing at the mall. The hosts for this year’s event are Reading Reality (yours truly) and the Caffeinated Reviewer. The more blogs to hop, the better! Put our grab button on your blog and help spread the word! 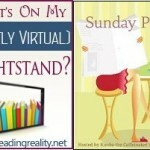 Pingback: The Sunday Post AKA What’s on my (Mostly Virtual) Nightstand 10-14-18 – Escape Reality, Read Fiction!